It's been some time since I've given an update on life. Since we last spoke, (we are friends after all right, good) quite a bit has gone on around here. July's books (pictured above) have been interesting. 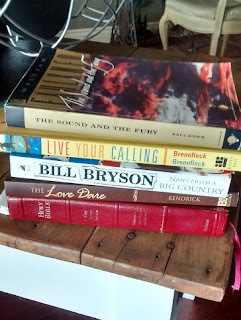 I finished The Love Dare, have made everyone n our household evaluate themselves through a battery of tests from Live Your Calling, and the quest continues of reading one Proverb a day. Bill Bryson's book Notes from a Big Country is fun to read as a fellow ex-pat turned re-pat...although I don't always agree with his viewpoint. And then there's The Sound and the Fury...ehrmehgersh! I think I am going to need some serious fluff reading if after I make it through this novel. 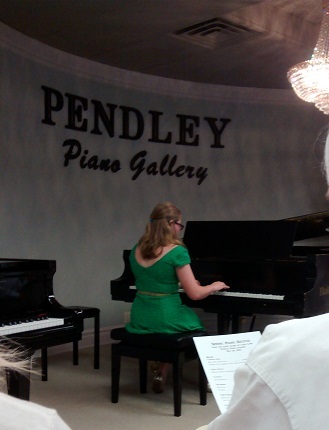 Diva had her one and only piano recital in Bossier. We adore her teacher so if anyone in the area is looking for a fabulous piano teacher, get in contact with me. Flash floods and gale force winds were happening outside the venue while inside, we had a delightfully calm all-girl studio recital that ended in cupcakes and punch. Another year at camp under Diva's belt and the last year at that particular campsite. Next year she'll be at >gulp!< the high school campsite! She had one of her best friends with her this year which was such fun for them both. My birthday celebrations were spread out over a week. Our sweet friends from around the bend fixed us dinner, my family came over for pizza and a movie, and Engineer's parents came and brought a half bushel of peaches...which we consumed in a week. Our house is still on the market waiting for the family that will fit it just right. I tell you what, selling a house is a trial by fire for patience in every way: We won't seriously look at buying a home until we sell this one. We have to keep the house show ready at all times (more than once I have had people just come up to the door and want to see the house.) We have to interrupt work/life to vacate for showings. We can't make plans easily since we never know when someone will want to come look. We love this house and hope that the next owners will love it just as much. We have been to Houston a couple of times once to look at areas where we might want to live and once for Diva's testing at her new school. Thank goodness the dogs are getting used to the road trips. Our old dog Truffles has been on many road trips throughout her long life and even took the journey over from England with us and has always traveled really well. 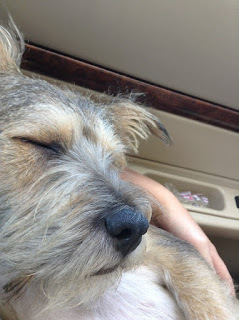 Our pound puppy Caspar used to get carsick but has seemed to have gotten over it. Winnie our nervous rescue dog has mellowed a bit too and sleeps the whole way now. If you are a longtime reader (thanks y'all!) you may have wondered about Diva's birthday party. Yes, we had a party but it was on a much smaller scale and on a tighter timeline. You may also have a couple of questions about the above photo and I'd like to address those now. 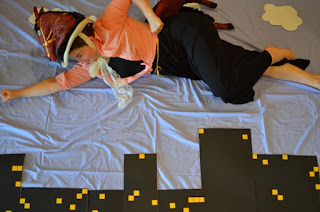 I was indeed wearing a horse head and horse rear as I flew over the city. I was a superhero named The Nag with extreme powers of persistence. 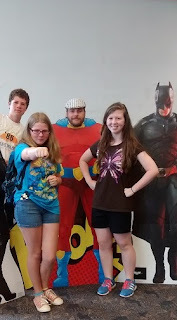 This should give you some clue as to what this year's theme was. For the second year in a row, poor Diva had to have her birthday party nowhere near her actual birthday. 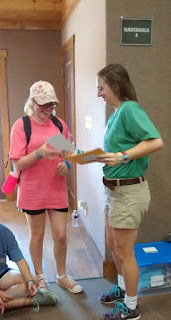 Between camp, our trips to Houston, open houses, Engineer's business trips, etc., her party got thrown together at the last minute. Luckily, I try to keep a couple of birthday themes on standby so at least I'll have some direction. In case you aren't aware, we do a wacky party for Diva each year. Is it Pinterest worthy? No. Is it fun? Yes. You can catch up on her 8th-11th parties and why we do what we do here, 12th party here, and 13th party here. Stay tuned for details from her latest party that involves others in ridiculous costumes. For the first time since my sister-in-law's wedding, Engineer's siblings and cousins were able to get together. They rented a stunning lake house near Jonesboro, LA and we were able to visit, eat, play in the water, and meet the newest member of our family, our nephew Landon. Do you see the photobomber in the picture? And that, folks, is precisely why I do not want to live on a lake. Chick-fil-A had it's annual Cow Appreciation Day. We introduced the neighborhood kiddos to our family tradition of dressing up in silly costumes for free food. There is no shame in our game. There you have it, life as it has been the past six weeks or so. This train doesn't look to be slowing down any time soon so we might as well enjoy the view. Oh good luck with the house - we're going to be doing that soon too! And I love Bill Bryson! YUM i don't blame your for consuming the peaches so fast! I have some from this weekend that I plan to consume asap! Mmmm Peaches! We're gobbling them up over here too! Praying that your house sells quickly! Love the Love Dare book :) And, all those Christian movies are so awesome too! 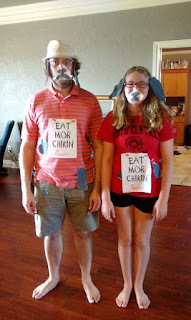 I couldn't convince my kids to dress up like cows!!! I'd dress up like a chicken and chicken dance on top of a table for free chip fil a!